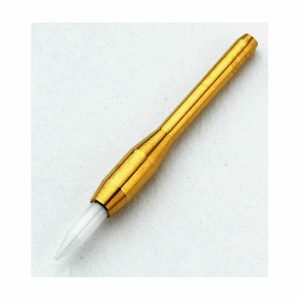 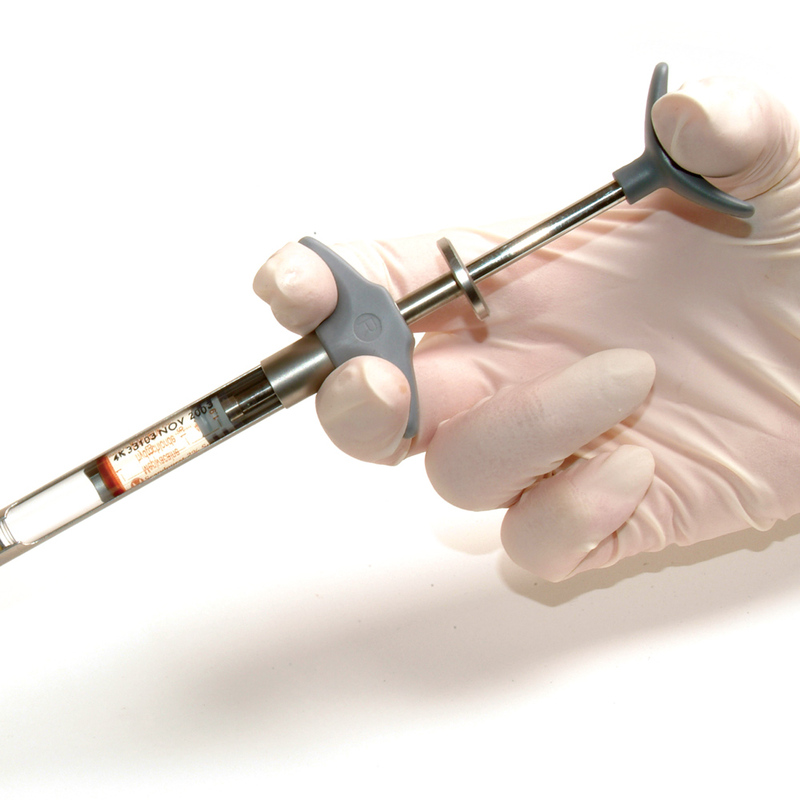 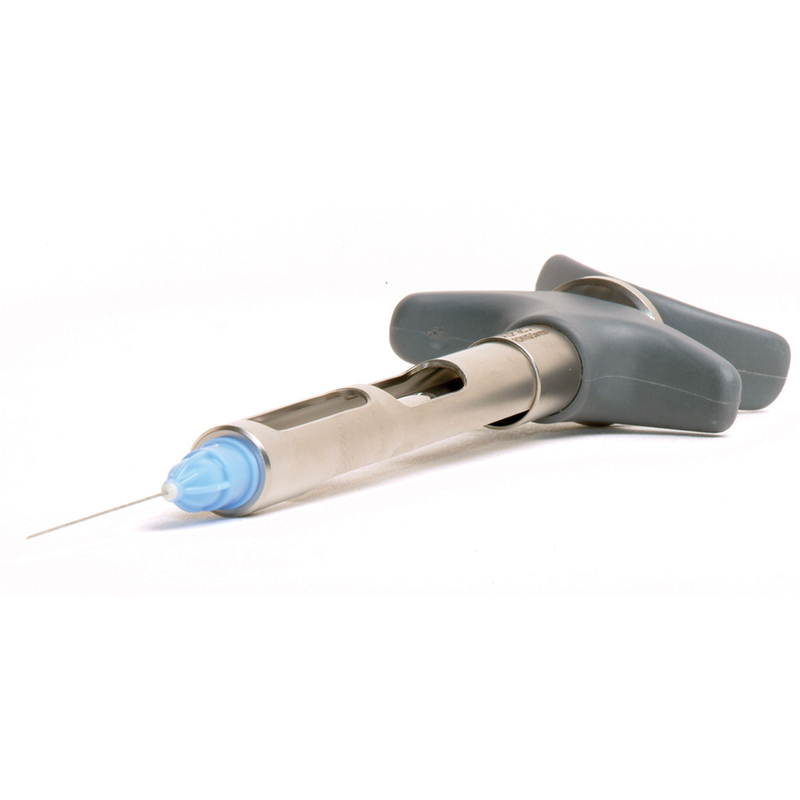 The Aspiject Syringe 1.8ml is a self-aspirating syringe for use with a1.8ml anaesthetic cartridge. 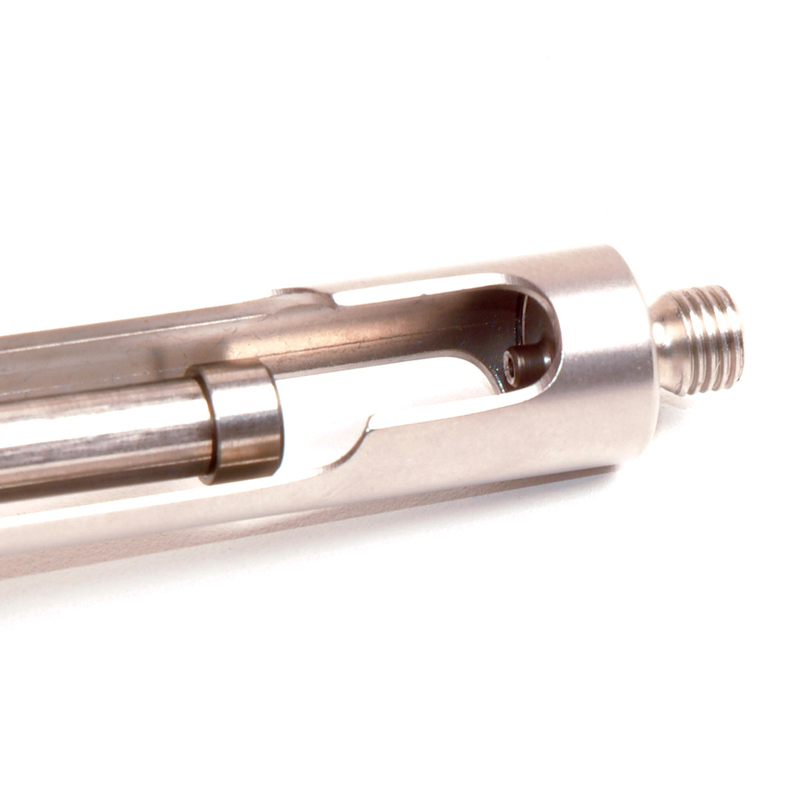 Manufactured in stainless steel to the highest engineering standards, its unique styling and design offers the ultimate in balance, feel and tactile control of your injection. 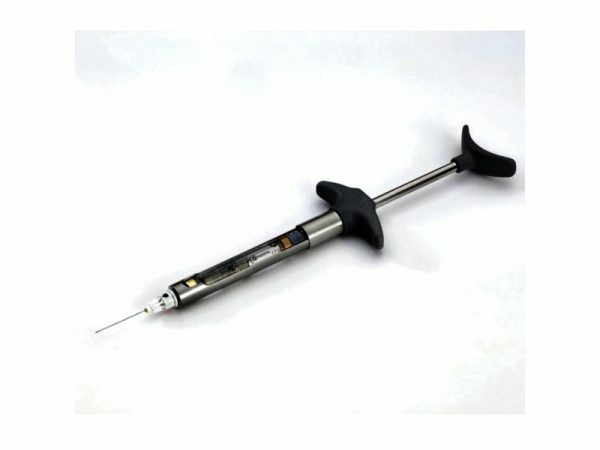 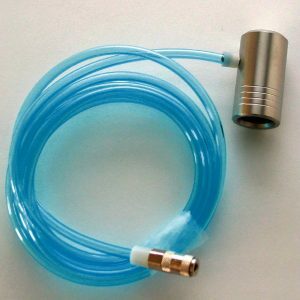 Automatic aspiration is occurs when light pressure on the plunger, which pushes the cartridge onto a hub at the base of the syringe.. 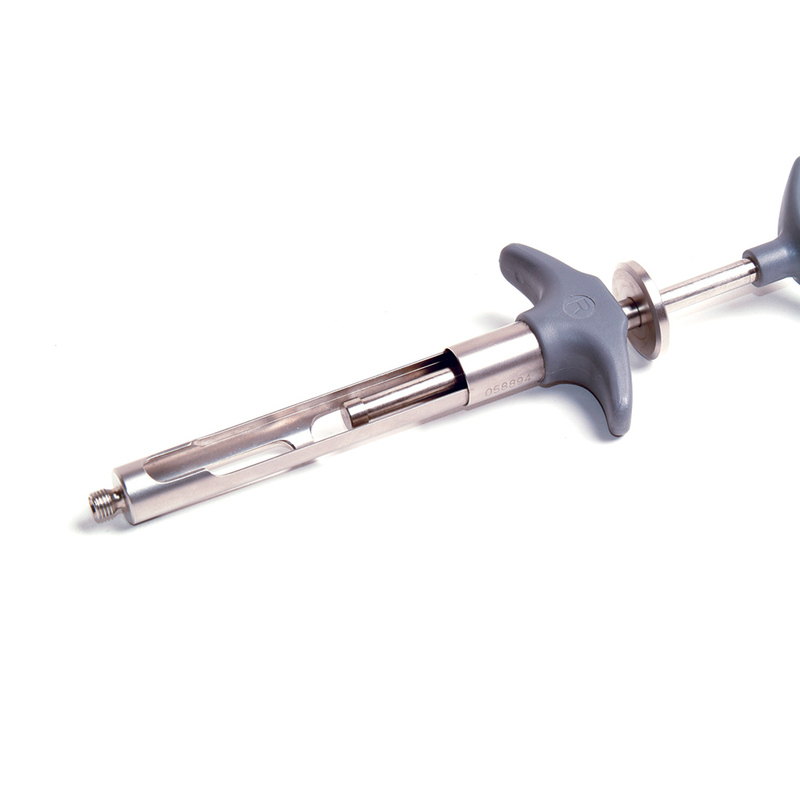 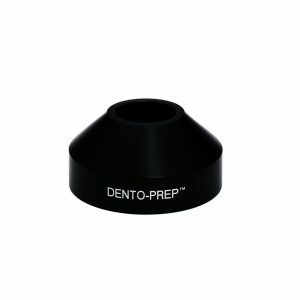 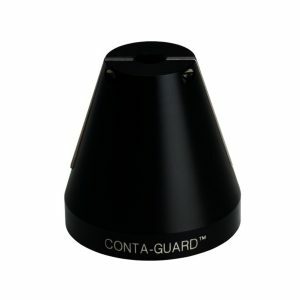 The hub causes deformation of the diaphragm, and when the pressure is released from the plunger, the diaphragm’s elastic recoil creates aspiration by a relative negative pressure in the cartridge. 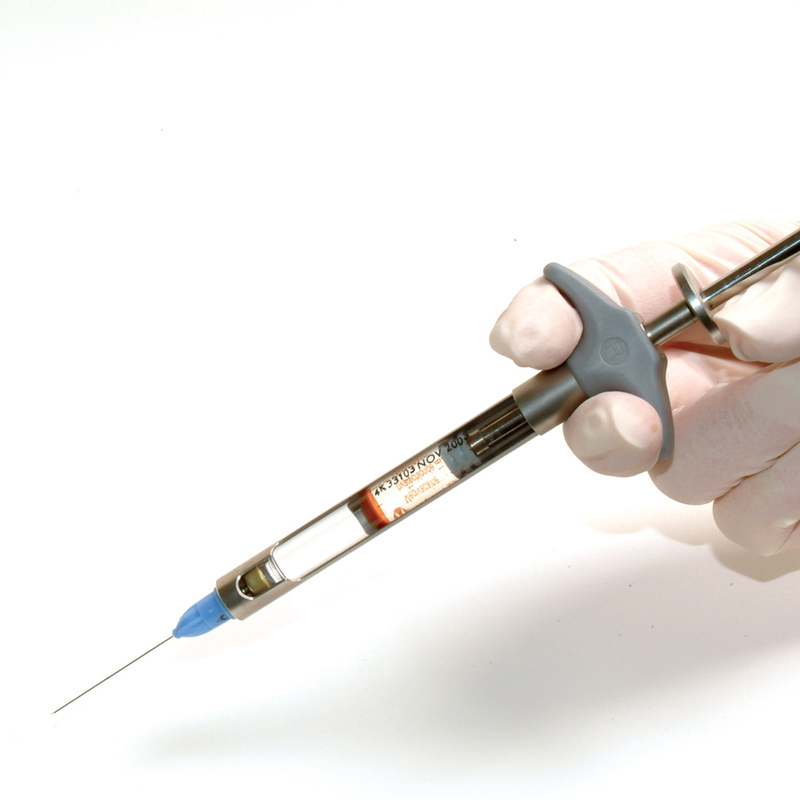 The self-aspiration without retraction minimises the risk of needle tip movement in the tissue.